Turbidity, along with Suspended Solids, is a way of measuring the clarity of a body of water, and how many particles are affecting it. The difference is that while Suspended Solids describes the density of the materials in the water, Turbidity describes how those materials affect light passing through the water. Turbid water can appear cloudy and discoloured because the more particles in the water, the more the light is scattered. These particles can come from organic materials such as algae, or inorganic matter like sediment and sand, which is the same when measuring Suspended Solids. It’s probably why the two measurements often get confused! However, Turbidity isn’t an exact measurement of the solids within a body of water, and it can also be affected by dissolved particles, such as dyes or chemicals like acid, that often won’t be picked up by a Suspended Solid measurement. The other important difference is the units in which Turbidity is measured; while Suspended Solids is measured in milligrams per litre (mg/l), Turbidity is measured in Nephelometric Turbidity Units (NTUs) and Formazin Nephelometric Units (FNUs). These units relate to the amount of scattered light and is measured by placing the sensor detector in the water at a 90 degree angle from a light source. We recommend using our self-cleaning TurbiTechw² LS or TurbiTechw² LR sensors, depending on location (for final-treated, filtered water use the LR for extra sensitivity!). We discussed the importance of measuring water clarity in our Suspended Solids blog, which included making sure treatment plants run efficiently, and ensuring the environment is kept safe from pollution. But when would you use Suspended Solids as a measurement, and when would you use Turbidity? Turbidity should be used at the final effluent stage of a wastewater treatment works or at the inlet of drinking water plant. In these areas Turbidity is used as an indicator of input variation and can be compared from site to site – something that is much harder for suspended solids. 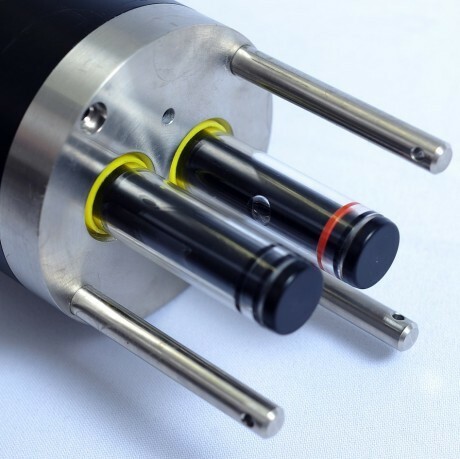 Turbidity is also used for environmental monitoring of rivers and lakes due to the varying nature of the solids and therefore the difficulty of maintaining an accurate Suspended Solids calibration. It’s important that the two measurements be treated differently, because their results can be conflicting; a sample of water can have varying Suspended Solids but the same Turbidity due to changes in particle density and makeup. The main takeaway is that Suspended Solids will give you a precise density of the material within the water, and therefore the “load” in the process. Meanwhile, Turbidity should be used as more of an indicator of change rather than an exact measurement. If you have any questions or would like to talk to us about one of our sensors, don’t hesitate to get in touch!